Today a quiet rest day in Nanyuki. 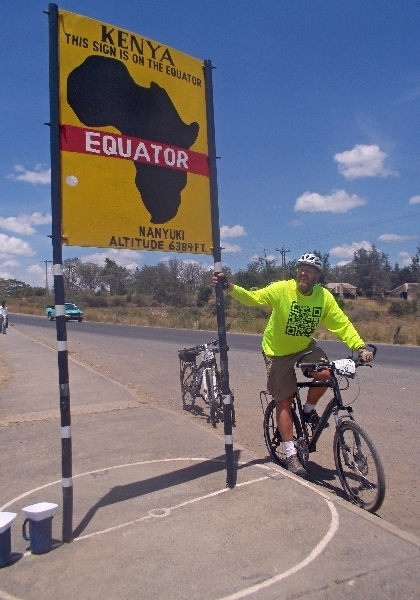 Just past the town limits is the equator sign shown above. Nearby are a number of shops with sellers eager to fulfill every need you might have for carvings, beads and other Kenya things a tourist might desire.